It’s 1767. 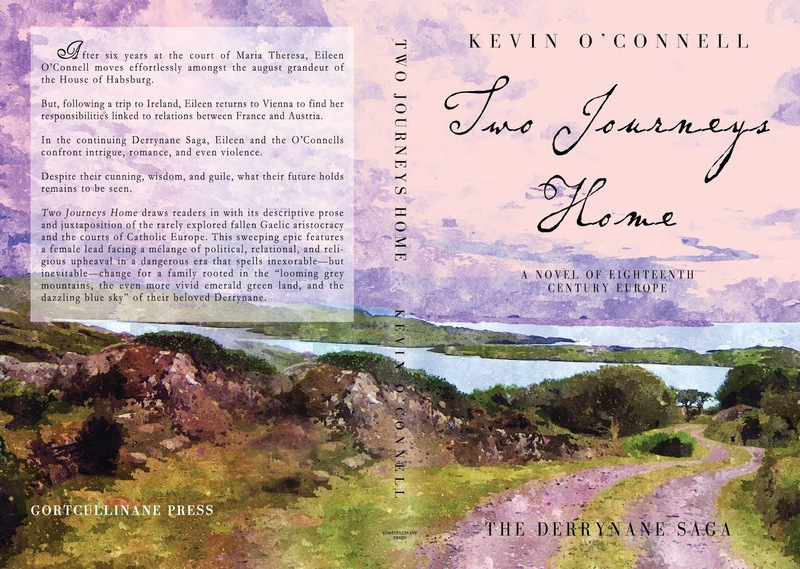 As the eagerly anticipated sequel to Beyond Derrynane begins, Eileen O’Connell avails herself of a fortuitous opportunity to travel back to Ireland. In Two Journeys Home, the O’Connells encounter old faces and new—and their lives change forever. Her vivacious personality matched only by her arresting physical presence, Eileen returns to Derrynane this time not as a teenaged widow but as one of the most recognised figures at the Habsburg court. Before returning to Vienna she experiences a whirlwind romance, leading to a tumult of betrayal and conflict with the O’Connell clan. Abigail lives not in the shadow of her sister but instead becomes the principal lady-in-waiting to Empress Maria Theresa. Author Kevin O’Connell again deftly weaves threads of historical fact and fancy to create a colourful tapestry affording unique insights into the courts of eighteenth-century Catholic Europe and Protestant Ascendancy–ruled Ireland. Watch as the saga continues to unfold amongst the O’Connells, their friends and enemies, at home and abroad. 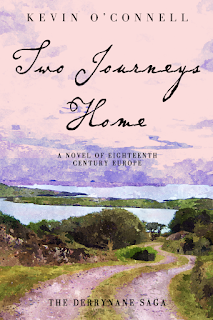 Two Journeys Home is available in ebook and print editions on Amazon. Add it to your shelves on Goodreads, and visit Kevin's website for more info about Kevin and his books.